Another anti-church bullying article shedding light on the sad reality (and security) of church bullies and their supporters. 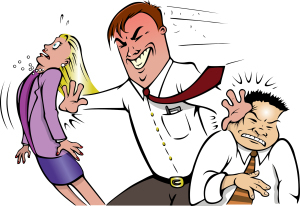 If you have spent any amount of time attending church, it’s likely that you have encountered a church bully. It is even more likely that you have come across church bullies if you have been involved with church leadership. Of course, bullies are everywhere in the world, and are not limited to churches. Bullying is hot button issue these days, and bullying is something many people are trying to draw attention to so that it can be eliminated. Yet still, bullying can be hard to identify. It isn’t just the big kid on the playground stealing lunch money. Bullying can be psychological, emotional and physical.